Pavlov and his dogs proved conditioning shapes behavior patterns. A hundred years later, a startup called Pavlok hopes the same theory and its electroshock wristband will make us exercise, wake up on time, and stop procrastinating. Launching today on Indiegogo starting at $99, Pavlok’s app lets you set up goals like hitting the gym or avoiding social media sites, and then its wristband electrically shocks you when you screw up. Brutal, but potentially effective. Pavlok can also stick to your plan, or make you pay a stranger (similar to GymPact or StickK) if you fail. Pavlok hopes to raise $50,000 for production and manufacturing of the wristbands, which it plans to ship in March or April 2015. 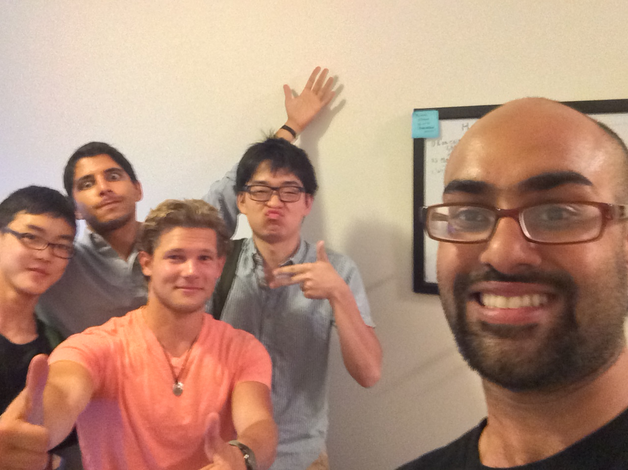 Pavlok was created by productivity and travel hacker Maneesh Sethi. He’s the author of four books including a best-seller about game programming for kids. Sethi got a little Internet famous a few years back for paying someone to slap him in the face whenever he used Facebook, which he says quadrupled his productivity. Now he’s built that same Pavlovian conditioning into Pavlok. If you don’t know the story, back in 1901, Russian physiologist Ivan Pavlov discovered what he called the “conditioned reflex“. Pavlov repeatedly put delicious meat powder in the mouths of dogs, which would make them salivate with hunger, and played a bell at the same time. He learned that eventually he could just play the bell to make the dogs salivate — that they their bodies had associated the stimulus with the reward. Pavlok hopes to associate the feeling of pain with not meeting your goals so you’re instinctively inclined to get out of bed, go pump iron, or stay focused on your…I wonder who Liked my photo *ZAP*. After his Facebook slapping experiment, Sethi asked his friend [and world renowned hacker] Dan Kaminsky “Wouldn’t it be funny if we made a dog collar that shocked me everytime I go on Facebook?” to which Kaminsky immediately replied, “let’s go to RadioShack”. The prototype worked, so Sethi set off to turn it into a real tool for everyone. He found Pavlok’s co-founder in Jim Lynch, the inventor of Lego Mindstorms and a senior engineer on the Roomba. Together they joined Boston’s Bolt hardware incubator, and the team is now ten-employees strong. Pavlok raised over $200,000 from Bolt, Dave Asprey (Bulletproof Coffee), Scott Miller (manufacturing lead from Dragon Innova1on), Ramit Sethi (Forbes Magazine wealth wizard), and JJ Virgin (New York Times best-selling author). Pavlok plans to ship its wristbands in March or April of next year. Thanks to small metal terminals on the watch, it can send a shock through the surface of your skin that can jolt you but supposedly isn’t too dangerous. Pavlok can also be slid out of the wristband and worn directly anywhere on the skin thanks to a little adhesive pouch that sticks on for a few days. There will be three ways to use Pavlok’s companion app with the device. The Pavlok alarm will gently wake you with vibrations and noises, but if you try to hit snooze or the accelerometer doesn’t detect movement it will shock you. The exercise option lets you enter the locations of your gym and schedule of when you want to be there by on different days of the week. If your Pavlok wristband doesn’t enter the geofence of your gym by the set time, it can shame you by posting about your failure to Facebook, making you pay a penalty fee you’ve wagered, or shock you. If you consistently follow your routine, you can earn gift cards from Pavlok’s partners, or win the penalty fees paid by friends or strangers on the system. Pavlok’s productivity Chrome plug-in lets you select a set of websites you want to avoid, like Facebook or BuzzFeed, and whether you want to be punished on your first visit or if you exceed a time allotment per week. Sethi says a test of an early Pavlok prototype helped him curtail his Facebook use because he set it to shock him every time he visited. He tells me how many people nervously start typing “F..A…” whenever they’re bored, or stressed, or exhausted online. “The first day I got shocked five times. But the second day I only got shocked a couple times”, he recounts. By the third day, he’d stopped visiting. “2 hours a day for six years, and then five days of just nothing. I realized ‘Whoa, my product works.” Unlike a normal wearable that just tells you what you’ve done, Pavlok tries to tell what you should do. Of course, changing habits is extraordinarily tough. People will do just about anything to stay lazy, even if that means throwing the $99 (soon to be $129, then $149) wristband in a drawer — the fate of many health-focused wearables. Pavlok’s app will have to be intuitive and satisfying to use, and the wristband needs to be comfortable and stylish enough to wear consistently. 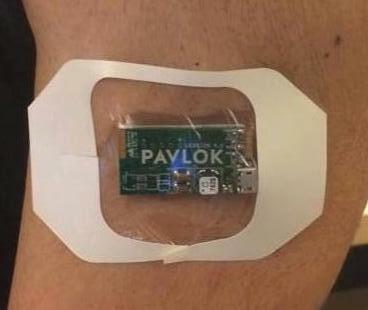 The idea is of an electro-shock wristband is sensational enough to gain awareness, but it will be people telling friends whether it actually worked that will determine if Pavlok ignites a behavior shift for the masses or fizzles out.